This sinking feeling of dread fills my stomach. You see, I did something that went completely against every instinct I have as a work-from-home mom. I see other moms killing it at their business while also putting together nutritious meal plans, keeping a spotless house and making sure their kids have limited device usage. Yes, at least my kids go to school, I thought, I have uninterrupted work time. But then when they came home, I still had work to do. This led to me sitting on the couch trying to think my way through a complete sentence while my son asked me for his third snack of the afternoon or my daughter wanted me to review ALL her fifth grade homework for correctness. It was too much. I lost my temper. They just sat around playing on their tablets. I felt like a failure as a parent. Why can’t I manage this? Then, my husband suggested a solution. Why don’t we enroll them in the after school program at their school? They get more time with friends. I get more work time. But it’s not. Because inside, I feel like I’ve failed. In fact, my mom guilt comes from one of very many lies we tell ourselves in this modern day of parenting. 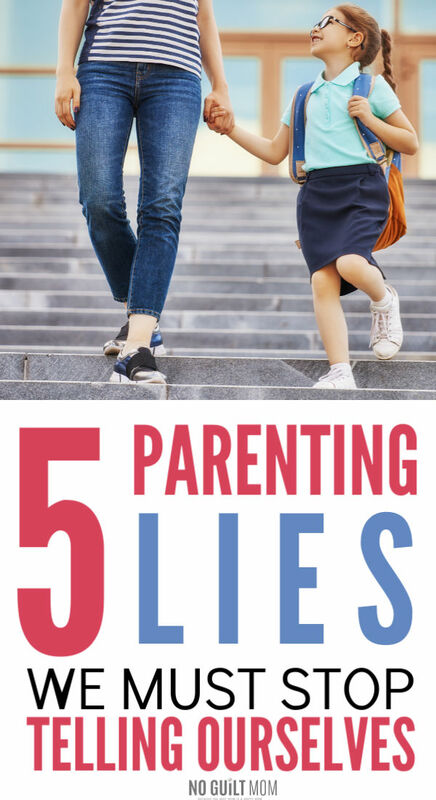 Lies that our decreasing our kid’s autonomy while increasing our rates of anxiety, depression and a whole host of other psychological disorders. How many times have you gone to the playground and gotten sideye from that mom following her kids from slide to swing? You stopped just for a moment on the bench to decompress and check up on Facebook when you feel that impending guilt. I release you from this circus act right now – because it helps your child in no possible way. In her book, How to Raise an Adult: Break Free of the Overparenting Trap and Prepare Your Kid for Success, former Stanford dean, Julie Lythcott-Haims, describes an anecdote from an American mom who just moved to Switzerland. She took her child to a Swiss playground that was truly fantastic: ziplines stringing through trees as well as a hammer, nails and pieces of lumber to build treehouses. Total childhood wonderland. At first this mom nervously trailed her child around the park. Then, she looked around and didn’t see a single other parent on the playground. It’s not as if they were sitting on benches watching, they simply weren’t there. You do not need to play constantly with your kids for them to grow up as successful adults. How over-scheduled are our children? Somewhere along the way, we have bought into the lie that our kids need tons of extracurriculars to be successful in life. How much stress does this cause as parents? Not only that, but we get so invested in these outside interests that we then feel it’s our job for our kids to excel at them. Instead, let your child pick one activity – that’s preferably close to home and doesn’t require drive time – and then say no to everything else that would either require a large chunk of their time or a significant portion of yours. It’s OK to say no to an activity that requires you to be a personal chauffeur for hours every week. There is so much research that a cluttered environment brings stress – and I’m not doubting the research. But does that mean that it’s our job as parents to keep the house company-ready all the time? In fact, when we take over and do all the household chores, our kids become entitled and ultimately less fulfilled. Kay Wills Wyma, a mom of five in Texas, took action against the entitlement in her house. For one year, she made it her mission for her kids to take over household chores – which she documents in her book, Cleaning House: A Mom’s Twelve-Month Experiment to Rid Her Home of Youth Entitlement. If kids don’t do the job perfectly at first, resist the urge to step in. Instead, let them experience real consequences such as, if a dish appears dirty after they ran it through the dishwasher, they’ll need to wash it by hand. Oh my goodness, I’m sure by now we have all heard the story of the mom who worked at McDonalds and let her 8-year-old play at a playground nearby during her shift? What about the Maryland couple who were investigated by CPS for letting their 6-year-old and 10-year-old walk to the park alone? Yes, the thought of something happening to our kids is scary. But, did you know that the threat is also over-exaggerated? Since then, our world has actually become safer. It’s estimated that today, children abducted by strangers represent .01 percent of all missing children. The risk of something happening to our child is extremely low. Thankfully, our society is starting to take notice and put laws in place to protect parents. Utah recently passed the nation’s first free range parenting law earlier this year. The new law specifies that it isn’t neglectful to let well-cared-for children travel to school, explore a playground or stay in the car alone if they’re mature enough to handle it. 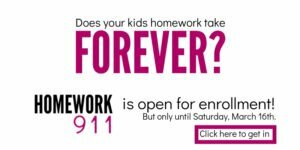 Since your kids started school, have you signed their homework agenda to attest that they did all their homework? I admit, I made my students do this when I was fifth grade teacher. And oh, how I regret it, because it ultimately sends the wrong message – that kids are not responsible for completing their own homework. Just the other night, my daughter asked me to check her all three of her homework assignments to make sure that it was absolutely correct. Believe me, I wanted to. I briefly felt that I was being a negilent parent by refusing to take 20 minutes of my time to redo her 10 greatest common factor problems just to check their accuracy. But, the research doesn’t support this. It’s actually better for me to let her go to class, get a problem or two wrong and let her teacher correct her. If I can’t do this in fifth grade, then when am I supposed to show her that I believe she is capable of completing tasks herself? And how can our kids succeed if they are scared of the smallest failure? If you want to give your child the most supportive environment for homework that still lets them maintain their autonomy, grab my free homework guide here. But, you are NOT responsible for making sure they complete it. Wouldn’t it be awesome if we could simply acknowledge all of these as lies and go back to our happy lives? Just know that you are doing the best job as a parent as you know how. Talking about these make us parents who make child-rearing decisions based on fact, instead of fear.